Our latest newsletter has a focus on Excellence! You’d think that excellence would be easy to define, but after some extensive research (Googling), it turns out that it means different things to different people. Excellence being better than the majority, is a habit, it’s an attitude, it’s extraordinarily good and it’s the result of aiming for perfection. Excellence takes time and constant effort to attain, but it’s how we measure our success and our customers demand it. We’ve had a busy start to 2017, in the first three months of the year we’re delivering training in five countries, across two continents and working with clients in a variety of sectors from healthcare to nuclear power. A FOCUS ON CUSTOMER EXCELLENCE. In March and April, we’ll be delivering an extensive programme aimed at improving the standards of customer service delivered by the London Highways Alliance Contractors whilst maintaining and improving the highways infrastructure on behalf of Transport for London and London’s boroughs. The programme consists of three full-day leader’s workshops and sixteen half-day staff sessions for staff from the key contractors: Kier, Ringway Jacobs, Conway Aecom and CVU (Colas Volker Highways URS). The theme for the sessions is how LoHAC deliver the vision of “Putting the customer at the heart of everything we do”. We’ll be adopting our trademark creative approach to the project and after having completed a period of intensive consultation, we’re hard at work designing the live sessions which feature a blend of theatre, interactivity and expert facilitation; as well as a legacy resource for new staff featuring a series of bespoke films. It’s all systems go as we prepare for a nationwide tour, delivering twenty-two full-day sessions taking in twelve sites across the UK on behalf of Magnox who are responsible for the safe decommissioning of nuclear sites in the UK. The training sessions are aimed at first line supervisors and have been designed to help them rise to the challenge of owning safety improvements and developing their ability to continue to lead their teams towards safety excellence in a diverse and challenging environment. A cast of four actors and our specialist facilitator will be taking to the road and during most of March and April, will be delivering our unique blend of theatre-based learning. There’s been a lot going on in the USA in the past month, so you’d be forgiven for missing the news that Juice have been taken our own brand of safety training stateside. We’re working in partnership with a major electric utility company to deliver a programme of Behavioural Safety Training to more than 1,000 staff across an entire US State. This bespoke project focusses on the creation of a World Class Safety Culture by inspiring delegates to feel passionate and empowered to “lead and own” safety throughout the organisation. This project reinforces our position as one of the UK’s most exciting and effective behavioural safety specialists. It also demonstrates that our unique brand of safety training is equally effective on both sides of the Atlantic. We’re delighted to announce that we’ll be exhibiting at two major Health & Safety Events in the next few months. Please come and meet the team at “The Health and Safety Event” (20th-22nd March) at stand F76 at the NEC Birmingham, where we’ll be delighted to demonstrate and explain a little more about our award-winning approach to behavioural safety. In June (20th-22nd) we’ll be at stand R400 at “The Safety & Health Expo” at ExCeL London. As well as meeting our regular and new clients, we’re delivering two short workshops on Occupational Health. The session is designed to show safety professionals how to take a fresh approach to hazards which have a long-term impact of health can have a significant and long term benefit to any organisation. According to the HSE the economic cost of workplace injuries was £4.8b in 2015. This is half the cost to the economy of new cases of work related illness; occupational lung disease, cancer, musculoskeletal disorders, stress, depression and skin disease affect an estimated 1.3m of the working population. The session is designed to be a provocative and engaging awareness raiser rather than a technical exercise. The intended audience is anyone who recognises that broadening their safety focus to include occupational health will benefit their organisation. Our Learning & Development Director Matt Cleve will be delivering the session at The Keynote Theatre at 2.45pm on 20th June, if you’re at the event, please come along and see what we do for yourself. 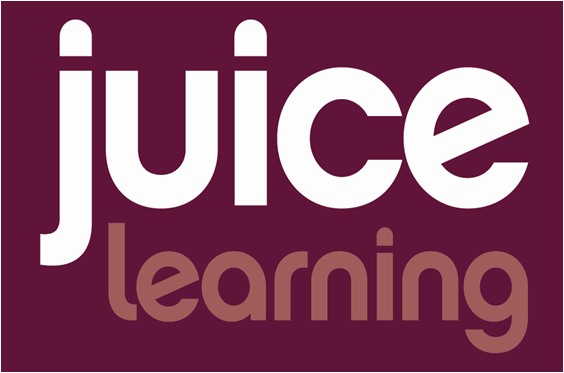 ← Juice Learning at The Health & Safety Event, 21st-23rd March 2017. Stand F76.